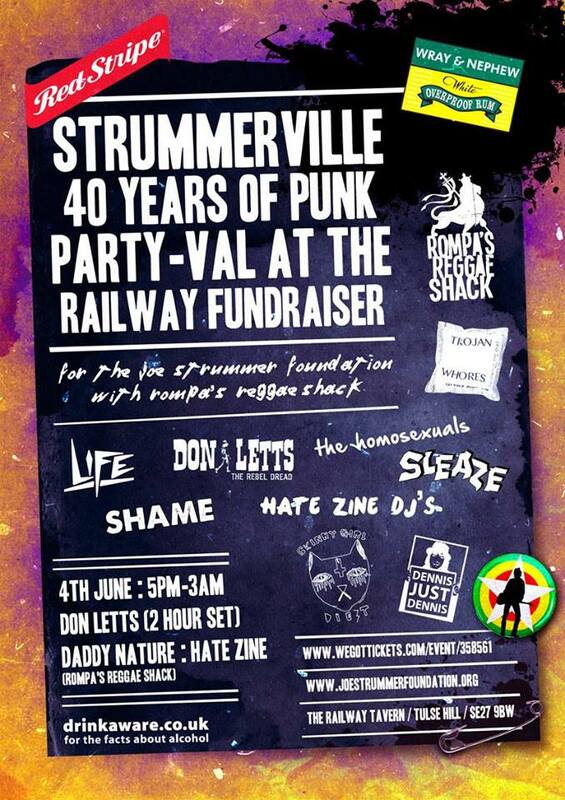 We are super excited to announce “40 Years Of Punk” anniversary celebrations – we the Joe Strummer Foundation, are joining forces with Red Stripe, Wray & Nephew, Concrete PR and South East London’s finest boozer, The Railway Tavern, to put on a fundraiser with a stunning line up that blends 1976 and 2016, then and now, new and old. We are truly thankful for the amazing humans that will be performing. Entrance will be £5 and all profit will go to the Joe Strummer Foundation – we give opportunities to musicians and support to projects globally that create empowerment through music. See our work.